In my day-to-day life, I am a library lady and as such library things interest me. In a meeting with our programming department, we jokingly asked if we could get Neil Gaiman as the author for our NaNoWriMo after-hours party this November. Mr. Gaiman’s appearance fee is a well-earned $30,000—so, no go. But have you heard the man speak? He is SO motivating. I am no Neil Gaiman. But in my 20+ years of writing, I have developed a small set of advice that I keep close to my heart. For the low, low price of NO DOLLARS, I want to share it with you now. Be brave in all things. Writing is scary. Writing can be downright terrifying even. If you aren’t scared of writing, there is always sharing your stories, editing, soliciting for publication, blurb writing, release day, promo, reviews, self-doubt, and the NEXT story. There’s always something to be nervous about. That’s why you must be brave to pursue your dreams. The bolder the better. Don’t let anyone set limitation on your story. Write with the graceful wordcraft of an adult and the imagination of a child. Money is awesome. Writing and getting paid to write? Awesomely awesome. But writing FOR money? It’s taxing. It’s draining. I don’t care if you are following trends or not as long as, at the heart of it, you are saying something meaningful for yourself. Speak with your voice, not the voice they want you to have. You have a lifetime of stories, they don’t have to all be written today. This is not my advice—it is my friend Lisa’s. She drilled it into my head. When you craft, craft with precision and care. The goal is not to write 100 mediocre stories when a little more effort and a little more time would produce five AMAZING stories. Prove it! Write, draw, sing, knit, garden, dance, bake, design, sew, anything. Get your fingers moving and your brain flowing. Be creative in all things! We’ve all been told at one point or another that dreams are for babies and dreaming is pointless. SCREW. THAT. Dream big! Dream bold! Dream in defiance! DREAM. And then do something about those dreams. Self-consciously, he glanced up, but Chloe was walking away from the truck, giving him privacy to do what he loved. 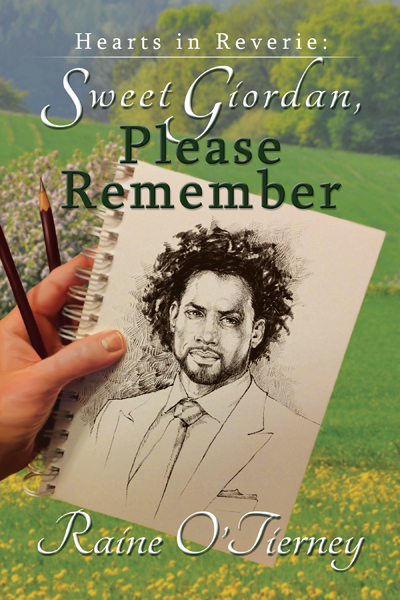 With no eyes on him or his paper, Giordan laid the sketchbook down and carefully took an eraser to the light age lines on Shane’s face. He softened the look in his eyes, trimmed and then erased entirely his beard, and made him smile—just a little. The effect was so utterly charming that Giordan sank lower into the bed of the truck, more a boy with his first crush than a grown man. Another clean page. He drew Shane’s face again. This time with more detail, taking special care to get the shape of his ears, his nose, his mouth—a wicked grin on his face—just right. He looked like Chloe in some ways—same green eyes but lighter skin—a blending of Chloe’s coffee and Mr. Devereaux’s cream. Shane’s jaw and brow were his father’s, but his well-defined cheekbones, full beautiful lips, and deep dimple came from some unknown ancestor. To say he was merely attractive was to do him a disservice. “It’s going to rain.” A voice purred in Giordan’s brain, a deep, seductive, slightly familiar voice. “We should go back in,” Giordan whispered down at the paper. He sketched Shane’s nostrils, his eyelashes, the intricate lines of his ears, all those hidden, beautiful things. It started with silliness. They were supposed to have a picnic. Sandwiches and wine in the shade of the new green leaves. But then Shane hoisted him up into his arms and carried Giordan to the grove, a wicked grin on his face. Wind rustled the leaves of the trees, and a sweet smell filled the air. It was definitely going to rain. “I can’t believe I agreed to this,” he murmured. “Not outside we haven’t!” Giordan protested. “No one’s going to see,” Shane promised. 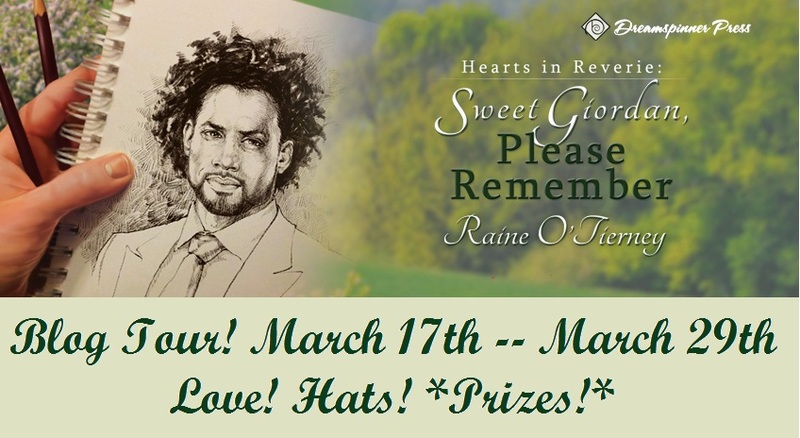 This entry was posted in Guest Author, Toss Up Tuesday and tagged Dreamspinner Press, MM Romance, New Release, Raine O'Tierney, Toss Up Tuesday on March 25, 2014 by Grace. Last week I got introduced to a terrific site for both readers and authors. It’s called THE FUSSY LIBRARIAN. This entry was posted in Features, Toss Up Tuesday and tagged Lily Velden, The Fussy Librarian, Toss Up Tuesday on February 11, 2014 by wedbriefsfic. 1. I’ve learned that I can sit and stare at a blank screen on my laptop for a very long time. 2. I can edit – redit – rewrite then delete the same page three times. This entry was posted in Toss Up Tuesday and tagged Toss Up Tuesday, Victoria Adams on January 21, 2014 by wedbriefsfic.